As discussed previously, I've been thinking about creating some new spells to flesh out the spell list for a hypothesised elementalist magic-user sub-class. Firstly I want to focus on the ability of the elementalist to summon and control elemental creatures, which I think would make for a fantastic and pretty unique class. I've got plenty of ideas for a full range of summoning spells from 1st to 9th level, and some new creatures which can be summoned. Here are the first two spells in the series, starting at the high-end -- 9th level, to give a glimpse of the sort of deeds a master elementalist may be capable of. Cast in the presence of a summoned djinni or efreeti, this spell forces the creature to grant the caster a single wish (as the 9th level magic-user spell). The creature cannot deny the caster's demand, but will always attempt to twist the intent of the wish by fulfilling it to the letter. Once the wish has been granted, the summoned creature is released and has a 50% chance of returning to its home plane and a 50% chance of immediately attacking the caster. The granted wish itself cannot be used to prevent the possibility of the summoned creature attacking the caster. This powerful spell allows a caster to bind a summoned efreeti into service for 101 days, as detailed in the creature's description. The efreeti must first be summoned with another spell or magic item. The binding of the pact also requires the caster to prepare two brass amulets - one which he must wear and one to be worn by the efreeti. These amulets must be inscribed with magical writing, and cost at least 4,000gp each. The power of the spell is such that the summoned efreeti cannot deny the pact and must accept the wizard's amulet. Once the pact is made, it can only be broken if either of the amulets leaves its owner's possession. The bound efreeti cannot discard its amulet of its own accord, however, they are intelligent, chaotic and wily creatures, and often contrive ways to trick the caster to command them to do so, thus breaking the pact. If the pact is broken before its proper end, the efreeti is 90% likely to attack the wizard who bound it. A wizard may only bind one efreeti to service at any one time. Finding myself with some time on my hands today, I managed to do a proper write-up of yesterday's musings on a class combining the LL thief and assassin with the 1st edition AD&D thief-acrobat. Thus, I present - the expanded thief class. It's just a first draft, and of course as yet completely untested, so any comments or suggestions for improvement are most welcome! I found myself, some days ago, browsing the AD&D 1st edition Unearthed Arcana, and re-read the description of the thief-acrobat split class for the first time in quite a while. It got me to wondering whether that class' abilities could be integrated into the standard thief class, without requiring a separate sub-class. In class-based games this is how my tastes go - I want a few very archetypal classes (fighter / thief / magic-user), perhaps with a sprinkling of options within each one to give a bit of variety. The number of classes in AD&D 1e/2e is too great for my sensibilities, let alone the madness of all the classes and 'prestige classes' (or whatever) in 3rd and 4th edition D&D. The thief-acrobat abilities seem like the perfect example of the kind of 'options' I'm talking about for a class. You're still a thief, but you can choose (at character creation, ideally) if you want to specialise more in traditional thievery or in fancy acrobatic tricks. Likewise, I think the skills of the AD&D / Advanced Labyrinth Lord assassin class could easily and pleasantly be integrated as options for the standard thief. That's another class which, according to my criteria, isn't really necessary - it's just a thief with a couple of skills swapped out. So, just in theory, a newly created thief character could simply pick 9 out of those 14 skills. The script skill, which includes read languages (usually gained at 4th level) and use scrolls (usually gained at 10th level), could probably do with a bit of expansion. Ideally all of these skills would provide some benefit at 1st level. So I'd extend the read languages ability (at a lower percentage of success) to 1st level, and possibly include some kind of code-breaking abilities too, which would be pretty useful for a thief. Likewise, I'd consider giving back stab a progression of sorts (as it does in AD&D, but doesn't have in LL), so the damage multiplier increases at higher levels. Also the poisons skill would need some kind of progression - perhaps a percentage chance to analyse or even create poisons? I've felt inspired to continue the series of thread & rope spells posted previously. I'm very keen on the idea of series of themed spells, ranging all the way from 1st through 9th level, so I'll see if I can achieve that with thread themed spells. Not there yet, but here are some more for the series. During this spell's duration the caster gains the ability to deliver touch spells through ropes, threads and skeins. Both the caster and the target must be touching the conducting skein. This spell allows the wizard to massively amplify the effects of a single touch spell through a normal or magical web. The caster must be touching the web as he casts the desired touch spell, which can be up to 3rd level. The touch spell's effects are then amplified and conducted to every creature in range which is in contact with the web. Each affected creature is allowed a saving throw, if the conducted spell allows one. Only one spell can be conducted per casting of conducting web. This simple spell has been the saviour of many an adventuring party who were stuck deep underground lacking basic equipment. It produces a normal 50' hemp rope for the duration. This spell enables the subject to walk along extended ropes at his normal rate of movement, and with no risk of falling. Only ropes which are on a horizontal and which could normally support the subject's weight can be traversed - the spell does not grant any gravity-defying powers. The subject is so at ease while rope walking that he may perform any normal actions, including attacking or spell casting. However if he takes any damage the subject must make a saving throw versus wands or fall. This spell creates a huge volume of sticky threads which entrap any creatures caught within the affected area in the same way as the 2nd level web spell. In addition to the normal entanglement, all creatures entangled in or touching the web must make a saving throw versus spells or enter a state of suspended animation (as temporal stasis) for 2d6 days. The caster can move freely through a web he has created. A wizard can only have one web of Arachne in existence at a time, and in order to create a web in a new location must personally destroy the old web by casting dispel magic. Apart from this one situation, the web is unaffected by dispel magic, and is not damaged by fire (normal or magical). Sections of the web can be disintegrated. The subject gains the ability to climb or walk along ropes, skeins and webbing as quickly and easily as he can move on the ground. The affected creature can traverse threads of any thickness, even those which could not normally support his weight - however the spell's magic only allows thin threads to support the subject's weight plus up to 150 pounds. This spell has the additional effect of preventing the subject from becoming stuck in webs created by giant spiders or magical web spells, though it does not help creatures who are actually bound up in webbing. I mentioned previously that I had variant dwarf and halfling classes planned for my up and coming Labyrinth Lord game. I really like the standard classes' abilities, but didn't feel that the standard noble dwarf or jolly halfling fit in at all with what I had in mind for the setting, so I wanted to rework them somewhat. The variant classes I came up with ended up being mostly just a matter of flavour, as opposed to properly different classes, but I thought I'd post them here anyway, just out of interest. Halflings in S'raka are not the cosy, furry creatures of modern myth. They are a race which has evolved from the genetic randomness of the mongrel-men who inhabit the vaults and catacombs of the city. Halflings are tiny, half the height of most humans, and usually have one or more animal-like features such as: small claws, long whiskers, pointed ears, fur, a small tail, etc. They typically have a slightly rodent-like appearance, and are quick, alert and agile. Most halflings spend their lives in the vaults of S'raka, where they live as scavengers. A few of the more gifted members of this race sometimes venture to the surface, and may find a way to make a living as adventurers or business-owners. They are generally regarded as vermin, in the same social class as beggars or mongrel-men. They have infravision to 60 feet. Their hiding ability works on a roll of 1-3 on 1d6 in any environment, wilderness, urban or underground. The dwarrow are a race similar to the standard dwarves. They live underground in labyrinthine cavern complexes which they constantly expand and mine for minerals. Dwarrow differ somewhat in appearance from the standard dwarf – their skin is gnarled like old tree roots and is dark brown or grey in colour and their eyes are jet black. Although they are important trade partners, the dwarrow are seldom trusted by humans – they are usually exceptionally avaricious and scheming, regarding all forms of precious metal and gems as the sole property of their race. Preparing to play Labyrinth Lord! So I'll be running Labyrinth Lord tomorrow, for the first time. Though, of course, it's not at all like running a game for the first time, as it's just like the D&D of my childhood! I spent yesterday evening drawing up a dungeon map and stocking it. I drew the dungeon completely freestyle, on un-gridded paper, which I found had a remarkably freeing effect. In fact I was struck by what a pleasurable experience it is, to sketch out rooms and corridors with no preconceived idea of "what should go where", only a rough idea of how many rooms I wanted (about 25 in this case). I ended up, by mistake (due to low lighting), drawing the whole map in purple, but that only adds to its charm I think. And I even coloured in the "bits between the rooms" (for want of a more specific word! ), which I never normally do with maps. A thoroughly enjoyable exercise, and one which revealed to me something of the creative / artistic nature of the process of dungeon design. The stocking was equally fun. I had a few ideas for encounters or areas that I wanted to include, but the rest I trusted to the luck of the 1d6 room contents roll. One thing that particularly impressed me in the process of making an adventure for Labyrinth Lord was the ease of creating new monsters. I found it equally as easy to create a new creature as I did to look one up in the book, which led to several new beasts just in this small one-level (so far) dungeon. The time from imagining what the monster would look like and how it would behave to having its stats written down was not more than a minute or two, which I find very impressive - compare that to the same process in more modern RPGs (d20 system anyone?). Partly, of course, this was helped by a latent but intimate familiarity with the game from years of childhood play, but I found the combination of a simple basis for a monster (HD, AC, Save as, Attacks / damage) plus the freeform "and then make up whatever rules you like for its special abilities" works a whole lot better than in more rules-heavy games. I just hope we have as much fun playing the dungeon as I did making it! I'm very much looking forward to playing the classic game again and seeing it with adult eyes. I was thinking this morning how one of the greatest pleasures I find in D&D is the magic system. I know that this is also for many people one of the most loathed aspects of the game, but I just love the complexity of it and the near infinite possibilities for new spells. Then I remembered having created a bunch of new spells back in my AD&D days, which I promptly dug up. I had a phase of inventing spells on a certain theme - dimensional magic being a big one, for instance. The spells below were a quartet based around threads and ropes, which I had in mind for an arachnomaniac wizard, perhaps. I've converted them into Labyrinth Lord format. With this spell the caster can attach the end of a rope (normal or magical) firmly to any surface without the use of a knot. The caster touches the rope to the surface and an incredibly strong magical bond is formed. The bond is so strong that it cannot be broken - if great force is applied, the rope itself will snap first. At the end of the spell's duration, or at any time the caster wishes, the rope is released. This spell cannot be used to attach a rope to a mobile creature. The caster touches the end of a rope (normal or magical), and instructs it to attach itself to a surface which is within sight. The rope then snakes out and joins itself, as per the 1st level spell attach rope, to the surface indicated. The rope can only attach itself to surfaces that are within its reach (as determined by the length of the rope). As with attach rope, mobile creatures cannot be affected. The caster reaches into his lightly clenched fist and pulls out a glossy, almost transparent thread. The thread can be unraveled for up to 200' per level of the caster, or until the caster wishes the spell to end. The skein created is as strong as thin copper wire - it can be deliberately cut or broken without much difficulty, but is unlikely to break without interference. At the end of the spell's duration, or at any time the caster wishes, the skein vanishes. The caster touches a surface and a sticky thread forms, connecting his hand to the surface touched. The caster can cause the thread to extend to a maximum length of 100' per caster level, and at a maximum rate of 60' per round. The skein is attached with incredible strength (as per the 1st level spell attach rope) to both the caster's hand, and to the surface touched. This spell is thus typically used to allow the caster to descend safely from great heights. The spell does not confer the ability either to retract the skein or to climb up it again quickly. The caster may climb up the skein, but only at the normal rate of climbing. The thread itself breaks if more than 300 pounds of weight are suspended from it, or can be deliberately snapped by a creature with 18 or higher Strength. The caster can disconnect either end of the thread at will. When the spell's duration expires the thread vanishes. Inspired by Carter's comment on an old post about elementalists in Savage Worlds, I got to thinking about what spells an elementalist might have available in Labyrinth Lord. I was imagining that the list would be pretty thin, and that a lot of new spells would need to be added, but after poring over the AEC spell lists I discovered that there's actually a fairly good selection already. A few things have been mulling around in my mind lately about how to structure a good campaign (good meaning: 'the kind of campaign I want to run'), and what sorts of limitations can be put on the game to achieve that. A fixed group of characters is not required. This was the original impetus for the campaign, in fact. To be able to run a game with players who aren't all able to commit to coming to every session. Each session should be its own self-contained adventure. This kind of follows from the first principle - if the group of characters can be different every session, then the normal idea of a campaign as a continuous story doesn't necessarily work out. It's a sandbox - the players are the ones who drive the action, through their choices of where to go and what to do. The DM does not have some over-arching plot in mind which the PCs are implicitly expected to follow. No moral imperative - connected with point 3 - the campaign won't take the form of saving the world or suchlike. It's more about exploration. It's interesting, looking back, how the campaign has developed. The first point has become pretty moot, as the group of players actually is more or less the same every session - there's a core at least, and the occasional drop-in from another friend. This has also nullified the second point - the story can continue directly from where the last session left off. I guess I came up with those guiding principles from perhaps a more idealistic perspective (the idea, which really appeals to me, of having a large rotating pool of players), rather than a practical point of view (that actually we have a pretty static core of 4 players in our RPG group). So far point 3 has gone well. I've not deliberately introduced any pre-planned story arcs (although hints of plots and subterfuges have come up during play, which is only natural), and the players have chosen their course of exploration. I do get the feeling they're a little shy of choosing their own path, which is perhaps due to a difference in experience, as they mostly grew up on D&D 3.5 or later, whereas I grew up on Basic/Expert D&D. I think the emphasis in those two eras of the game was pretty different. Since reading ars ludi's thoughts on his West Marches campaign I'm very much taken with the idea of the players deciding between games where they want to go next, giving the DM some time to prepare something which they might encounter there. This unfortunately also requires knowing how many people are going to come to each session - it's all very well planning a daring raid on a Goblin city, but when only two players come to the game it suddenly doesn't seem such a good idea. Point 4 is a tricky one for me. The campaign currently seems to be veering in exactly the opposite direction - a band of witch-hunters out on a crusade against Chaos. It's not really what I had in mind, and I can't quite put my finger on what it is I don't like about it. All in all it's very interesting to see that really what I'd prefer to run is a series of more modular games, where each session has a pre-defined emphasis ("we're going to explore the ruins of the old mill", "we're going to try to steal the Duke's diary from his library", "we're going to follow that treasure map we found", etc). A sort of modular sandbox. I want the players to be totally free in their course of actions, but I guess I want to know up-front what they intend, so I can prepare something engaging, and I want each session to be an adventure - with enticement, danger and reward (or pain)! We've just had two fairly slow and uneventful sessions in a row, the first due to there unexpectedly only being two players and myself present, and the second due to a rather short amount of play time available. The characters are building up for a return to the ruined manor house which they have been exploring, and the whole business of getting from the city of Aglong back to their base in the frontier-town of Keet has been getting a bit long-winded. So the two sessions instead became a kind of addendum to session 10 - the "R&R in town" session. There were a couple of things that needed to be resolved, but not much really. In retrospect I think it was a shame I didn't have any little interesting side-events happen, or even a mini town adventure, rather than just dragging out the couple of minor tasks the PCs had to finish up in town. But then there is also an argument that that becomes unrealistic - when "adventure" follows the PCs wherever they go (like the apparently cursed Miss Marple and Jessica Fletcher), even if they choose to head away from the dangerous wild lands of Chaos! It's a difficult point in this kind of campaign - if the players decide to just linger in town chatting with NPCs, well, that's their prerogative. It's certainly made me consider re-organising how the campaign works though, to make it a bit more cut-to-the-chase, and especially so after reading Ars Ludi's very inspiring posts on the West Marches campaign. The main item which the PCs still wanted to sort out in Aglong was trying to talk with Lady Esmelna, the heir of the Baron who'd owned the ruined manor in Ballan. They headed through the snowy city streets towards the noble quarter, where they'd been told the rough location of her house. Finding the walled house without too much difficulty, they inquired with the guards at the gates as to whether it might be possible to speak with the Lady. The PCs didn't look or act too suspicious, so the guards fetched the house keeper, a man called Asmenius. The Lady had no time that day, but after a bit of 'haggling' they arranged a meeting for the following afternoon. In the evening Arthanius went back to the temple of Arg to see if his superior had any news on whether he could provide any support for their explorations in the ruined village. The Eld had good news - that two of Arthanius' fellow order members were available and would accompany them to further root out the chaotic creatures which had infested the village, and to investigate the possibility of reclaiming the village or at least the manor as an outpost of Order. They arranged to all meet at the temple in two days' time, to begin the journey back to Keet. They spent another evening at the inn, and this time were joined by Erik, one of the men from Arthanius' order, who was going to join them on their mission to Ballan. Erik and Arthanius knew each other somewhat, and had some discussion of their recent doings. Erik told the story of how he had travelled to Thane's Haven in the west, braving (and barely surviving) the perils of the Fey Wood in order to take a message to the monks who live at the haven. After the catching-up Erik left to return to the temple, and Barur and Arthanius decided to get an early night in readiness for the next day's journey. At this point Darian, who had wandered off on his own that day, rolled into the inn completely drunk. The next morning they rose (Darian only after a little 'encouragement'), breakfasted, and made their way to the temple of Arg to begin their journey. They met the other order member who was to come with them - an enthusiastic young lad called Balder, whom Arthanius was a little unsure of - most of the order members are a little older than 18. The Eld, however, assured him privately that the lad was a competent fighter, that he had sworn an oath to serve the god of justice, and that the order needed young blood. So the five of them set off to Keet: Barur, Darin, Arthanius and his two dogs **, and Erik and Balder of the Order of the Hammer. The day's journey to Keet was uneventful, and they arrived in the village at dusk. However as they walked along the now-familiar riverside path towards the lights of the village, they noticed a sinister black shape lurking in the edge of the forest behind the settlement. Edging closer to investigate, it appeared to be a man-sized spider-like form hanging unmoving in the branches of a tree. Creeping along the edge of the woods, they got a closer view and Barur (with his dark vision) noticed that the thing was in fact made of wood - it appeared that the branches of the trees had somehow woven themselves into this sinister shape. At the insistence of Balder they lit a lantern and Barur climbed into the tree and hacked the thing down with his axe. They gathered up the pieces, which appeared to be just normal wood, and took it to the Grinwold's Eaves inn to provide the landlord with a gift to feed to the fire. The landlord knew nothing of the spider shape in the trees, and was a little concerned about his fire when they revealed the source of the wood. Over supper and ale the party discussed their next move - to return to the ruined manor in the morning, and to fully explore the tunnels in the cellars. * This is developing into an interesting theme in the campaign at present, with the introduction of the witch-hunter character, who is assuredly not an adventurer or treasure-hunter. It'll be interesting to see what happens if they discover any further riches at Ballan, when they've been explicitly told that they do not have permission to loot the place. ** Arthanius' player officially renamed his new dog 'Scourge' (it was called Will when he bought it) - even changing the name on his character sheet. In my planned Labyrinth Lord game, that I'm now spending a lot of time ruminating over, I'd postulated that I wanted Elves to be somehow distinguished from Magic-users, and not just end up as a kind of multi-classed Fighter / Magic-user. I wanted them to be a more innately magical race. At the same time I was thinking about the campaign setting, and quickly decided that I'd love to run a city based campaign. The combination of these two ideas culminated in the conception of a huge decadent city which is dimensionally co-existent with a Fey city. During the day time the two cities are separate, but at dusk a great bell is rung, and doorways between the two worlds open. Tall, thin and ephemeral, the Fey are a race native to a magical dimension which exists in parallel to the world of men. They are of diverse appearance, and always have one or more unusual features that mark them as obviously non-human, such as: pointed ears, silver or violet hair, cat-like eyes, sharp pointed teeth, extra fingers, etc. They typically weigh about 120 pounds and are between 5½ and 6 feet tall. Often Neutral in alignment, Fey are fickle, mysterious and mischievous. They enjoy music and song, as well as fine food and drink - but all their pleasures have a strange otherworldly quality, which other races can find both intoxicating and eerie. Fey are excellent fighters, being able to use any weapons and armor, and are naturally magical. A Fey must have at least 13 in both prime requisites in order to get the +5% to experience. They must also have an INT of 16 and a STR of 13 to get the +10% bonus. They advance in level according to the Elf Level Progression chart. Fey have infravision of 60 feet, and have keen eyes that allow them, when actively searching, to detect hidden and secret doors with a roll of 1-2 on 1d6. Because of their magical nature, Fey are completely unaffected by the paralysis ghouls can inflict. Fey can speak their alignment language, common, elvish, pixie and goblin. Although they do not study magic, Fey are able to use all magic items available to Magic-users, with the exception of scrolls. Fey cast spells according to the Druid spell progression chart in the Advanced Edition Companion, and gain spells from the lists given below. However their manner of spell casting differs from that of other spell using classes. As Fey are naturally magical they do not need to pray or study books to be able to use their spells. The spell progression chart represents both the number of spells a Fey can cast per day, and also the number of spells he or she knows. For example, a 1st level Fey knows two 1st level spells, which he or she can cast once per day each. Fey regain their spells automatically after a night's rest. Upon gaining an experience level, Fey automatically learn any new spells allowed to them. Fey's known spells are usually determined randomly. In my hopefully coming-soon Labyrinth Lord game I'm planning on using a simplified weapon damage system, whereby all one-handed weapons deal 1d6 damage and all two-handed weapons deal 1d8 damage. This gives characters the choice of whether to use a shield and gain extra AC or to use a two-handed weapon and gain extra damage. One additional point I had in mind to differentiate weapons was that weapons with a longer reach would get to attack first (a goblin with a spear vs a Magic-User with a dagger, for example). I think that's a pretty nice idea, but the only trouble with it is the way the standard combat sequence works - one side resolves all its actions, before the other side resolves its. 1. General intentions are declared - spells to be cast, weapons used to attack, other actions. Labyrinth Lord rolls morale, if applicable. 2. Each side rolls 1d6 for initiative, ties are re-rolled. 3. The side with initiative moves. 5. The side which lost initiative moves. * This means that generally missile attacks (including ranged spells) go first as they have the longest reach, followed by melee attacks and finally unarmed attacks and touch spells. However in the situation where someone making a ranged attack is being attacked in melee, the melee attack would be resolved first (because at hand-to-hand range the missile weapon effectively has no reach). One thing I really like about this system is that it makes it so that even with initiative, running up to attack someone who's brandishing a polearm when you've only got a shortsword is a dangerous business! Can anyone see any flaws though? When toying with fundamental systems like this I'm always concerned I might be breaking something important without realising! I've been thinking vaguely of a campaign set in a large decadent city, perhaps with some kind of "undervaults" (obviously leading into countless miles of caverns and dungeons), and perhaps some kind of weird connection with dreaming or planar gateways. In the classic vein, the PCs would be thieves & treasure hunters (XP for gold!) - many adventures to be had that way! On that note I've been very unsure of the role of Clerics - who are marked by their abilities as clearly Lawful, and not the roguish amoral type at all. I wonder how a D&D campaign would run without Clerics... Healing potions could be made more readily and cheaply available I suppose, and I've thought that scrolls of undead turning might be quite cool. Those items, along with holy water, could be purchased from Clerics, without needing any preachy do-gooders coming along on dubious adventures and then insisting that the treasure is donated to a monastery. For some time I've been wanting to create some random tables to help with quick & easy generation of NPCs, specifically for potential hirelings which PCs might encounter. My first stab at this was, inspired by the NPC personality tables in the AD&D Dungeon Masters Guide, to create a whole array of tables for determining everything about a character's apppearance - ranging from height and build, to hair style and colour, to dress. I had a lot of fun doing this, but after demonstrating the system to my girlfriend it soon became clear that it wasn't really very practical to use. (She asked me how I'd spent my evening, and I told her I'd been making up tables of random facial hair styles - I like making fun of the absurdity of this hobby!) So I gave her a quick demonstration, rolling on each of the tables to see what kind of character came out. After a string of 'average' results, her comment was "that's a pretty boring guy". A point well made! Of course my instinct had been to make kind of 'realistic' tables, mostly based on 3d6 rolls, with the middle values representing the average and the extreme values more unusual characteristics (very tall, very thin, very strong, etc) - using the bell curve as it was intended. But, as my quick demonstration pointed out, what's the sense in rolling on 15 tables if most of the results come out average (which they generally will)? I then realised that what I actually wanted was a table or two just containing the interesting bits - just the extreme values of the original tables. So here's the results - two d100 tables, one for physical traits, one for personality traits. I've found that a couple of rolls on each table can really quickly generate some pretty evocative springboards for NPC descriptions - exactly what one needs in the situation where three 'fighters' reply to a PC's advert for henchmen. The tables are designed for Savage Worlds, and refer to the Edges and Hindrances of that system, but really they're pretty generic. You can download the PDF here: NPC Traits. Any comments / thoughts / suggestions are most welcome! The main modifications I'd make would be to the classes, partly to eradicate the weapon and armour restrictions, and partly to give the different spell-casting classes a bit more flavour and differentiation. I'd allow Clerics to use any weapon, as befits crusaders, followers of gods of war and the like. Depending on the nature of the campaign, certain deities may place restrictions on certain weapons, or may strongly encourage the use of others. The flipside is that Clerics only gain magical 'pluses' with weapons which were specifically consecrated to their own deity when created. Thieves can already use any weapon in Labyrinth Lord, so no change there. I would however limit them to doing at most 1d8 damage. I just don't like the idea of Thieves carrying two-handed swords around! Thieves would only gain magical 'pluses' from daggers. Magic-users can use any weapon, but, in the same way as Thieves, they cannot do more than 1d8 damage, and do not gain magical pluses from any weapon except daggers. Again similarly to Thieves, Magic-users would be allowed to wear armour at the expense of their spellcasting abilities. Wearing leather armour would reduce a Magic-user's spellcasting ability by one level, studded leather by two, and scale or chain mail by five. Armour heavier than chain mail completely prevents spellcasting. I'd probably allow Magic-users to cast minor 'cantrip' type spells freely, just to give low-level MUs a slight boost and to make them feel more magical. The only change I'd make to Dwarves and Halflings is that I'd allow them to keep earning XP and increasing in level beyond their normal limit (XP charts to be decided). BUT the only thing they'd gain from each level increase above the usual maximum would be hit points. Like the other demi-humans, I'd allow Elves to carry on gaining levels above 10, but only their hit points would increase. I've never been that keen on the idea of Elves as wizards (or Fighter / Magic-users in AD&D terminology). I just somehow can't imagine them carrying big tomes around and studying ancient scrolls - that seems very much the preserve of the Magic-user class. I'm more into the idea of Elves as naturally magical, so to that end I'd make a few modifications to the way they use magic. Firstly I'd make the spell progression chart double up as not only spells castable per day, but also as an Elf's known spells. So a first level Elf knows one 1st level spell, which he or she can use once a day. The whole idea of spellbooks and finding new spells is done away with for Elves. When they gain a level, they just learn a new spell. Likewise, they don't need to do anything to memorize spells, the ability to cast spells simply returns after a good night's sleep. To further differentiate Elves from Magic-users, I'd even give them a completely different spell list - the Druid spell list from the LL Advanced Edition Companion. This would really cement their role as being innately magical, and tied to the forces of nature. Spells like Faerie fire, Obscuring mist, Plant growth, Passplant - those are totally what a self-respecting demi-fey would be using! Despite their change in spellcasting niche, Elves would still be able to use 'wizardly' magic items, with the exception of scrolls. All the business with limiting which weapons the different classes can get magical bonuses from is partly a bit of 'niche protection' for the Fighter (only mighty heroes can wield the true power of legendary swords), and partly as a counter-balance to the eradication of class weapon limitations. I think it also makes a lot of sense as a parallel to certain other magic items like wands and rods being only usable by Clerics or Magic-users. It's worth noting that a magical weapon would still count as magical for the purposes of attacking foes which can only be hit by magical weapons, it just wouldn't provide any attack or damage bonuses when used by a character of the 'wrong' class. As for shields, I think I'd say that Thieves and Magic-users can use them if they want to, but gain no AC bonus (including magical bonuses) from doing so. One final rule I'd pull in (roughly from AD&D) would be a Strength-based adjustment to carrying capacity. Str 3 = -30lbs carrying capacity, and a maximum of 80lbs, Str 4 - 5 = - 20lbs capacity, max 120lbs, Str 6 - 8 = -10lbs, Str 13 - 15 = +10lbs, Str 16 - 17 = +20lbs, Str 18 = +40lbs. This would further discourage weak characters from wearing heavy armour and carrying large weapons, while still leaving the possibility there for a Thief or Magic-user who happened to have a decent Strength. One of the things I'm especially enjoying about this campaign so far is the very different pace of various sessions. The previous two, for example, were very combat / exploration heavy - in the classic dungeon crawling style, more or less. Last night's session, on the other hand, was a complete contrast - it consisted entirely of roleplaying and hardly a die was rolled. It was essentially an 'R&R' session for the PCs, but this allowed the story to really develop, opening up a lot of new possibilities. Upon returning to Keet in the night, after their largely victorious siege on the bugbear-riddled manor at Ballan, the PCs made their way straight to the village temple to deposit the body of Barur's ex-henchman Barath in the hands of the high gods. They found the temple occupied, and the Seid (the village temple warden) engaged in a funeral ritual for the two guards who had died earlier that day, also in the raid on the manor. They spoke with the Seid for a time, before leaving Barath's body with him to consecrate before burial the next day. Returning to the Grinwold's Eaves the party found the inn surprisingly busy. A number of the village guards were gathered there and were drinking and simultaneously celebrating the victory at Ballan and mourning the death of two of their fellows. Olm, the only survivor of the three guards who accompanied the PCs to Ballan that morning, was the hero and the centre of attention, and was drunkenly telling and re-telling the story of the battle. The PCs joined the guards in the evening of drinking and recounting, and planned to travel to Aglong, the nearest larger town, the next day. In the morning they attended the simple and unassuming burial of the three deceased, and then set off on the road to Aglong, arriving at dusk. Passing through a gate in the wall, they were surrounded by the bustle of the town. Barur was happy to be back in a larger settlement, after having spent most of the last few weeks in the tiny village of Keet, but Darian started to feel a little unnerved at the crowds. The party decided to split for a time, as Barur and Darian headed to an inn and Arthanius went to visit the head of his Order, who was based in the temple of Arg in Aglong. They agreed to meet later on at the Serpent & Eagle inn, where Barur had stayed previously and could recommend as a reputable and reasonably priced establishment. Making his way through the streets of the town, Arthanius came to the temple of Arg, a large square stone building in the centre of the town, decorated with rows of columns and the crossed hammers of the god of storms. Entering, he gave a brief prayer at the feet of the statue of the god, and passed through a corridor at the rear of the temple and into a courtyard where the priests' quarters were found. His superior, a tall, elderly, battle-worn man named Meerax Eld, received him, and the two talked for some time. Arthanius reported what he had discovered of the ruined village of Ballan, and of the disappearance of the necromancer in Keet, and they discussed the possibility of Ballan being reclaimed from Chaos. This was hoped to be possible, with the aid of the priests of Hraal (god of protection & warding), but there had been very few instances of the realms of Chaos being pushed back in this Age, in fact quite the opposite. Nonetheless the Eld deemed the ruined village worthy of further investigation, and agreed to try to enlist the aid of some further members of Arthanius' Order to make a kind of scouting / clearing party. He also suggested that the Lady Esmelna, the granddaughter of the baron of Ballan, and heiress to the manor and village, should be consulted, at least out of courtesy, before any further excursions to Ballan were made. Arthanius took his leave and made his way back to the south gate and to the inn to meet his companions. Meanwhile, Barur and Darian had found the Serpent & Eagle incredibly loud and crowded, much to Barur's delight and Darian's chagrin. In fact it was all the bard could do to enter the place and go up to the bar to drink the mug of beer which Barur had bought for him. It is becoming clear that Darian has some kind of problem with large crowds. As they sat at the bar, Barur was surprised to hear someone addressing him from behind in the Mountain tongue, the native language of Dwarves and various other mountain-dwelling races. Turning around he was delighted to see one of his kinsmen, a fellow Dwarf, smiling up at him. Dwarves in this Age are a somewhat rare race, their dominions having been wholly overrun by Chaos, and a huge majority of their number slain in the wars with Goblins. So the two were pleased to meet, and began talking excitedly in their tongue, leaving poor Darian to suffer alone in the noise and bustle of the inn. The Dwarf, whose name was Nenn, invited them to join him and his travelling companions, who were seated at a table in a corner. Much as an evening with four Dwarves did not strike Darian as his ideal pastime, the idea of a corner appealed. Once they were all settled, the four Dwarves began recounting tales of their people. They were considerate enough to translate the stories, as best they could, into the Kargeen tongue, for the benefit of Darian. At about this time Arthanius entered the Serpent & Eagle, and made his way through the crowds to the table with the Dwarves. There they discussed their plans, and waxed heroic with their vision of reclaiming Ballan for Order, and then beginning to explore the City of Iron, the ruined Dwarven city in the nearby mountains. The three Dwarves - Nenn, Dak and Embed, who had been travelling companions for some time, were greatly inspired by this talk of glory, and agreed to join the party in Keet in the next week or so, after having finished some business they had elsewhere. The two humans went to bed early, leaving the four Dwarves to drink and reminisce together. The morning brought thick snow and a cold but bright day. The party spent the day wandering the streets of Aglong, visiting various markets and shops, selling treasure and buying equipment. Barur took the painting, which he'd cut from its frame in the manor house at Ballan, to an antiquities dealer, where it was identified as being a portrait of the ex-baron. The proprietor also surmised that the orb and the quill which the baron was portrayed as holding were perhaps magical, as he was known to have possessed magical gifts from the wizard Elleg. Barur, being in possession of the feather, was intrigued at this suggestion, and attempted to find out if any wizards lived in Aglong, who might be able to identify the item, but to no avail. The antiques dealer also mentioned Lady Esmelna, who might be able to shed more light on the history of the manor, and would no doubt be pleased to see the painting of her grandfather, even though it was now in an awful and worthless condition. Arthanius used the time to stock up on useful equipment like torches, oil and a lantern - not planning to be caught out below ground with only a single guttering torch again. He also purchased a second animal companion - a large black dog trained as a guard. The dog was called "Will", which the witch-hunter found somewhat too mundane for his taste, and began considering a renaming. The session ended there, with the PCs intending to visit the Lady Esmelna, and Arthanius planning to return to his superior in the evening to see if any aid could be provided. I experienced the pleasure of the Basic D&D random dungeon room contents table last week, as I was stocking the cellars and tunnels that lie beneath the ruined manor at Ballan, which the PCs have just begun to explore. There are various permutations of this table in various versions of the game, but what I used was: 1 - 2 Empty, 3 - 4 Monster, 5 Trap, 6 Special. It's nice and simple, although I was concerned it'd produce far too many "Specials". And, as expected, it did. Out of maybe 20 rooms, 5 were rolled as Special. But this actually turned out absolutely fine - indeed I had a lot of fun thinking up all these dungeon weirdnesses. I mean, I didn't go overboard - it's only the 1st level of a not-particularly-supernatural dungeon, so we're not talking reverse gravity chambers or talking pools. But I found it a real pleasure to add that many unusual / interesting / slightly magical / mysterious features. Overall I have to say I loved using the random room contents roll. It made the process of stocking both challenging and exciting, all in all far more engaging than the sometimes daunting situation of sitting there with a keyed map, no idea what's in which room, and an hour to go before the game starts! I'll definitely be thinking about using further random tables in dungeon stocking in the future. Kratos - Warrior from the Northlands, follower of Arg, accompanied by a horse known only as "the entertainer"
The session continued straight on from the events of the last - with the party making a hasty retreat from the ruined village of Ballan, where they'd had a narrow victory against a horde of bugbears. Firstly Barur took care to heal the seriously wounded bard, using two of the healing salves which he had purchased previously from the local herbalist. In return Darian revealed his own healing powers, which he used on Arthanius - the first time he had let on to the party that his music could produce magical effects. After this revitalisation the party journeyed back to their base at Keet, carrying with them the bodies of the two deceased town guards who had aided them and perished. They left the bodies with the guard captain, who bemoaned their fate and yet stated that a warrior could ask for no more in life than to die fighting the forces of Chaos and to be remembered as a hero. As the party were talking with the town guards, and describing the battle in Ballan, a hulking man clad in furs and carrying a long spear rode into the village and approached them. It was Kratos, an erstwhile companion of Barur, who had wandered back into Keet out of curiosity as to how the Dwarf's adventures in the region were progressing. He was, of course, eager to join them on their return to Ballan, hoping to wet his spear with bugbear's blood. As planned, they journeyed back to Ballan in the afternoon, hoping that the fleeing bugbears had not yet returned to the manor. On arriving at the ruined village, they found it quiet and empty, as had always been its first appearance. Heading through the village, they returned straight to the manor house, the front doors of which were still hanging open. Firstly they explored the upper floors, discovering a series of more or less ruined chambers, one containing a strangely green coloured corpse of a woman. They also found what appeared to have been the master bedroom, where a figure was chained to the four poster bed. The huddled figure seemed to be alive, so they approached and tried to rouse it. Upon the first touch the figure sprang up out of the bed, as far as its chains would allow, and started clawing at the adventurers. It was a woman, wild with some kind of madness, and in some state of transformation - with blood red eyes, vicious claws, and a horrid grinning mouth full of fangs. They attempted to talk to her, hoping that she might be at least partly lucid, but all their words were met with blind animalistic rage. In the end Kratos drove his spear into her chest, putting her out of her presumed state of misery and suffering. Exploring the ex-baron's suite further, they found one noteworthy item amongst the ruin - a single long black feather tipped with a band of bronze. Next, finding a wooden staircase and trapdoor leading up, they ventured into the attic. The top of the house was filled with broken wood and smashed crates and furniture, and two gaping holes in the roof were seen. A large mound of wood and crates was gathered beneath one of the holes, and the party went to investigate. The first gentle probing of the pile provoked the sounds of rustling and scurrying from within, and a full thrust of Kratos' spear unleashed the inhabitants - a swarm of black winged creatures, half bat - half bird, with talons and long, murderously sharp beaks. The disturbed flock swirled briefly in the rafters before diving upon the adventurers, attempting to find weak points in their armour to pierce with their beaks. The birds proved no match for the party, even in their large numbers, not even getting the chance to demonstrate their blood-draining ability. Many were slain and the scant remainder flew screeching out of the hole in the roof. Searching through the pile of crates which had been home to the birds, the party discovered a haul of coins and several valuable items, which had obviously been lying there for some time, undiscovered by the bugbears. Returning to the ground floor, the party explored the remaining rooms of the manor, which were mostly full of rubble and ruin. At one point Kratos exerted his might to break down a stuck door, and narrowly avoided falling head first into a pit which was on the other side - it wasn't clear whether this hole had been deliberately put there as a trap, or whether the floor had coincidentally caved in, but in any case a hole leading down to the cellar was revealed. The party also found a room with a series of paintings, most of which had been shredded. One painting however was mostly intact (it had been spattered with blood, but the image could still be seen) - it depicted the ex-baron of Ballan, seated and holding an orb of dark stone in one hand, and a quill in the other hand. The quill was recognised as the feather they had found upstairs. Lastly, as the day outside was beginning to wane, the party descended into the cellars (via a stairway which they found elsewhere). They had previously lit a torch to investigate one of the upper rooms with boarded windows, and this was still burning, allowing the non-Dwarvish members of the party to see in the gloom of the cellar. The cellar appeared to consist of two large rooms, both thick with mould and damp, and full of broken and rotting barrels and caskets. The first of the two cellar rooms had some odd formations of green mould on the walls, which had formed into what looked like some kind of runes or writing. Unfortunately none of the party could decipher what the mould had to say. On a wider inspection of the cellar it was discovered that both of the large stone rooms had been "extended" by several rough, low-ceilinged tunnels, running off at odd angles. As the party were considering their next action, Darian heard a whimpering sound coming from a barrel in the corner. They gathered around, and shook the barrel slightly, provoking a more determined wailing from within. Kratos fearlessly opened the barrel, which was sealed, and saw a small boy cowering within. (Not one member of the party thought for a moment that the boy was what he seemed to be :)) Kratos reached in to grab the boy, suspecting that he may be some kind of shapechanger or demon, and in fact discovered that he was a ghost - the Northlander's hand passed straight through the phantom, causing it to wail even louder. Darian suggested that maybe Arthanius should try to do something with or to the ghost, to which he memorably replied "I'm a witch-hunter, not a ghost-buster". At about this time the party's luck was up. Unbeknownst to them, a group of bugbears which were lurking in the one of the low tunnels had been sneaking up on them, and, aided by the noise and distraction of the screaming ghost, leapt on the party out of the darkness and completely by surprise. They attacked Barur's henchmen, Angur and Barath, who happened to be situated at the back of the group, and the nearest victims of the ambush. The henchmen were taken completely off guard, and were both run through by the bugbears' spears and fell to the ground. Barur and the others retaliated quickly, and slew the bugbears in their wrath, but the henchmen had both taken fatal wounds, and were dead by the time anyone could get to them. After the battle the party noticed that their torch was burning very low, and only at this point realised that this was the one and only torch they possessed between the six of them. (A fact which I found rather amusing :)) And, seeing the diminishing light coming from the hole in the ceiling which Kratos had earlier almost fallen through from above, they realised that dusk was nearing. They took these two facts as a sign to get going, although they were eager to explore the tunnels leading out of the cellars. Kratos had taken a liking to the ghost in the barrel (which was still crying), and formed a plan to take it back to town and to try and make some money by displaying it as a curio of some kind. So he began to roll the wailing barrel up the stairs. It was only the smoking and hissing of the barrel dissolving which saved him from the nasty surprise of stepping straight into a corrosive black ooze which was now spread across the stairs leading up. The ghost vanished as the barrel dissolved, and the black ooze began to slowly advance on the party, spreading itself wide over the floor of the cellar. With no other escape route, Barur swung a grappling hook up through the hole in the ceiling, and the party climbed out one by one, with the ooze advancing on them as they fled. 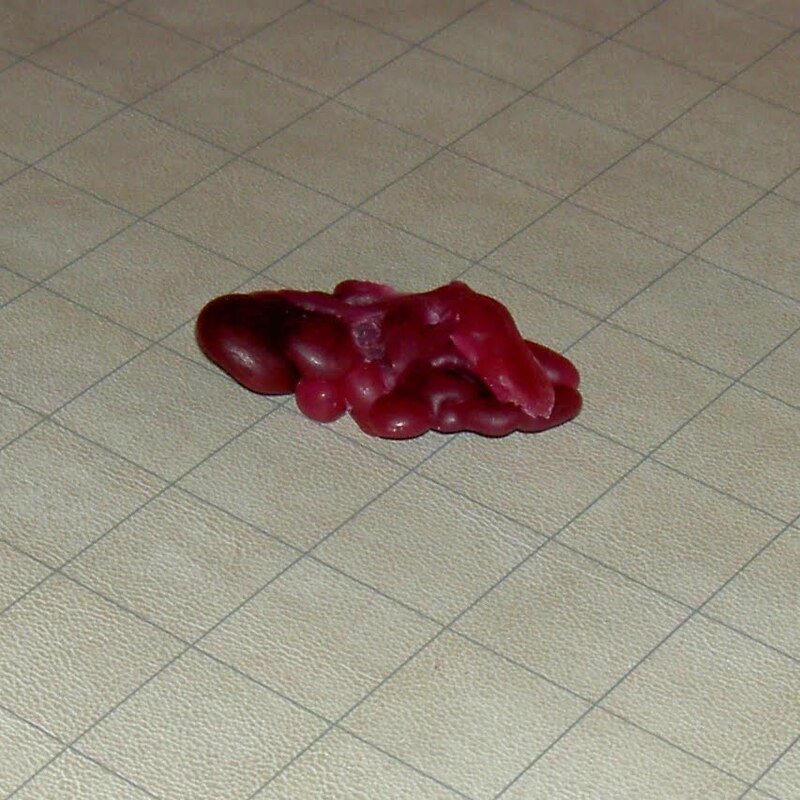 All living members of the party narrowly escaped without being dissolved, but poor Angur's body became ooze food. They left the manor and the ruined village at sunset, carrying with them a nice haul of treasure, and the body of their fallen comrade. The two hour journey back to Keet became perilous as night descended, and they had to resort to creating makeshift torches with sticks, rags, and the large amounts of oil they had (but no lanterns!). They skirted around the edges of Grinwold wood on their way back to civilisation, but their light and movement did not go unnoticed. A band of mountain goblins leapt out of the woods in an attempted ambush, which Arthanius' dog Bane warned the party of just in time. Despite their number, the goblins were easily defeated - Barur and Kratos slaying large numbers of them with an initial strike, causing the remainder to flee in terror. The session ended with the slightly diminished party safely back in the village of Keet, indeed just in time for supper. After the events of the last session in my campaign (the storming of a ruined manor inhabited by bugbears), I started to wonder "what lies beneath?". I'd already decided that the bugbears don't actually live in the manor house, they just use it as a kind of base of operations. Like any self-respecting "humanoids", they live in a series of tunnels underneath the manor and the nearby village. So I started drawing a map of said tunnels, and then came to think "well, what else might be down there, cohabiting with the bugbears?". Ooze was not the first thing that came to my mind. However, after laying eyes on this lump of melted purple candle wax, the possibilities of ooze & bugbears living in subterranean harmony became suddenly rather vivid and appealing. I've only recently started using miniatures & a battle mat (since starting to play Savage Worlds), and this is the first time it's occurred to me to use something unusual and creative as a miniature. Let the floodgates open! I am now the proud owner of an AD&D Players Handbook t-shirt! 1. I'd forgotten that the t-shirt printers told me that for bitmap images like this, it's only possible to print them on light coloured shirts, ideally white (because the colours of the image are mixed additively with the colour of the shirt). I totally didn't think that image would look right on a white shirt! While I was editting it I'd been imagining it on a dark background, maybe black or purple, and only remembered the thing about the light colour shirt when it came to printing it. 2. You can't really see it in the photo, but the colours came out a bit oversaturated, which was my fault (I think) as I did the colour balancing on my laptop, which probably has a pretty dim screen, meaning that I over-contrasted everything. Ah well, you live and learn... Still, I'm pleased with the shirt, and am wearing it proudly, albeit hidden beneath jumpers in this season ;) I'm also especially pleased that it's printed on organic fair-trade cotton. That was one of the reasons I wanted to get a t-shirt printed at this shop, rather than just buying one - that I wanted something that wasn't made under sweatshop condition labour in some exotic land! I think next I'll get a shirt printed with a vector image, so just one colour. Maybe the aforementioned Dungeons & Dragons logo, or another idea I had which might be very cool was the map of "skull mountain" from the Holmes Basic D&D book! 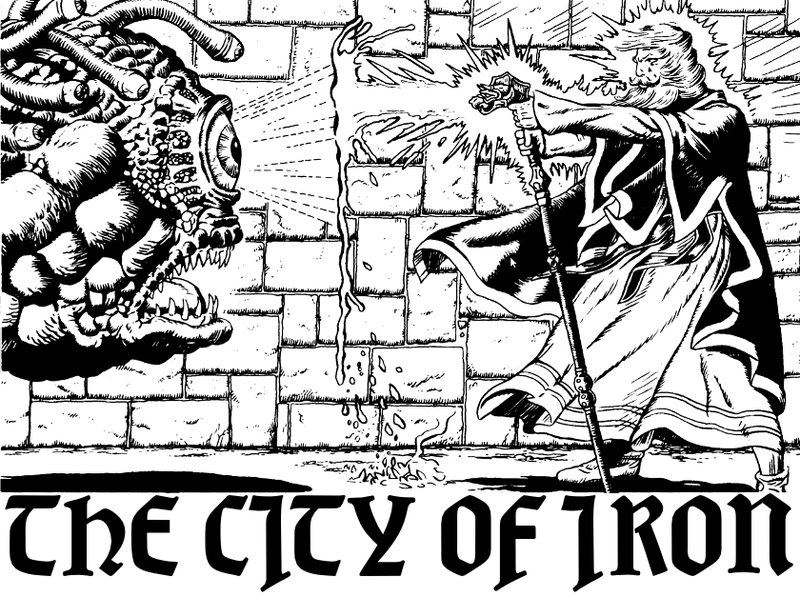 I think a black & white dungeon map would make a pretty striking image, and would be distinctly old-school. A long session which, in contrast to the two previous (combatless) sessions, was taken up mostly with a huge battle! After the disappearance of Aergyl the Necromancer early in the morning during the last session, Darian, Barur and his henchmen gathered in the tavern to discuss events and to make plans for their next action. They decided to attempt a raid on the ruined village of Ballan, which lies to the south of Keet (where they are staying), on the slopes of Mount Garn. They had visited Ballan on two previous occasions, and had encountered the village's new inhabitants - bugbears. They were drawn to explore the manor house which they'd noticed on a hill at the rear of the village, surmising that this was perhaps the lair of the bugbears, and that there was probably loot to be had. They'd discovered that the manor was previously owned by a Baron Halld, and that he was friends with a well-known wizard, Elleg, who had dwelt in the region - meaning that the potential for valuable and interesting treasure in the ruined manor was guessed to be high! So, they made plans to head to Ballan early the next morning. That evening, as the party were relaxing in the inn, a stranger arrived in Keet - a short, rugged, bearded man, dressed in a long leather coat, carrying a crossbow, and leading a lithe dog on a leash. He entered the tavern, escorted by one of the village guards, and strode directly up to the party of adventurers. 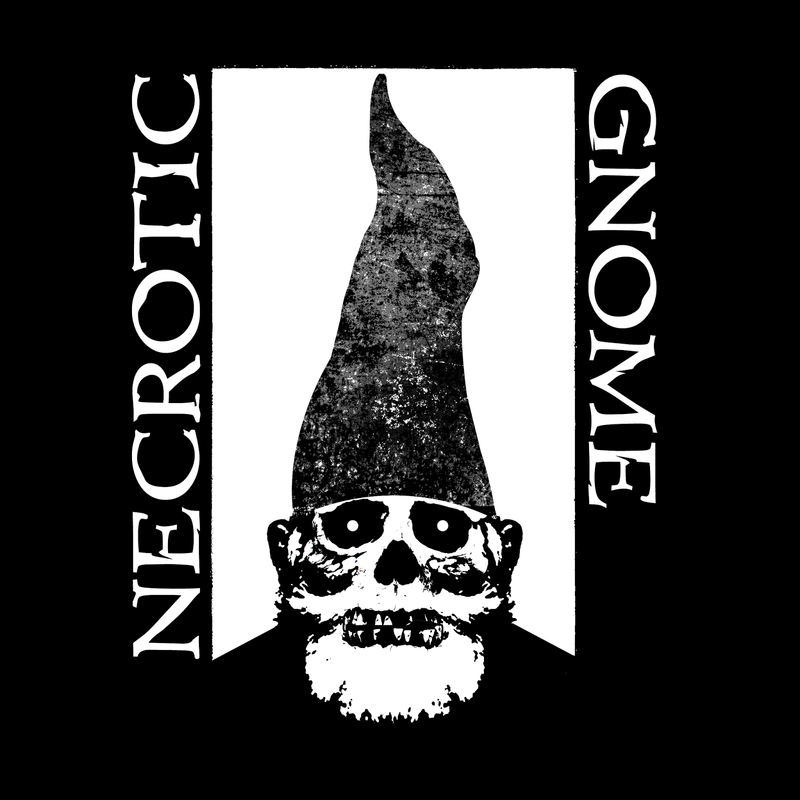 Introducing himself as Arthanius Lex, he stated that he had come to investigate the strange goings-on in the village, and the escape of the Necromancer, whom he'd been informed had been an acquaintance of Barur's. The Dwarf, bemoaning further accusations for the deeds of his ill-chosen former companion, re-asserted his innocence in the matter, but did little to gain the trust of the witch-hunter, who remained very suspicious. He did however declare that he would accompany the party to Ballan the next day, in order to see if they really did intend to fight against the creatures of Chaos. Leaving the inn, Arthanius asked the village guard to lead him to the house of Meredith, the local herbalist, who was also known to have had dealings with the Necromancer. The old woman told all she knew of the wizard, that he had seemed somewhat suspicious, and had spoken of strange matters, but that she had had the feeling that there was good in him, and that he was not purely a servant of Chaos. Again, the witch-hunter's suspicious mind was not pacified, and he left with the feeling that some strange plot was afoot in the village. They all slept poorly during the night, due to the cold of the oncoming winter, and awoke early to see the year's first snow covering the ground outside. Barur's henchman Angur declared it to be "a cold day for killing". Before leaving the village they visited the guards' barracks, which stands on a hill behind the inn. Arthanius Lex was awaiting them there, and was gathered with a group of guards. He had managed to talk the guard captain around to sending three of the village guards with the party, as they'd need all the swords they could get if the reports about Ballan's new inhabitants were true. Thus they entered the wild lands: Barur, Angur and Barath, Darian, and Arthanius Lex with his hunting hound and the three guards: Aram, Dolg and Olm. The 2 hour walk around the outskirts of the forest to Ballan was mostly uneventful. At one point they sighted a flight of crows above them, which the superstitious village guards believed to be the familiars of the wizard Elleg (who was also believed to perhaps still dwell in his tower on the edge of the forest away to the south east). The crows were taken as a portent of some kind, though the party were unsure whether it boded for good or ill. Arriving at the ruined village, they found it lifeless and still, especially quite now it was blanketed with snow. The snow revealed no tracks ahead of them, so they surmised that whatever lived here had not been active since the snow had fallen in the early morning. They walked carefully through the village, Lex's dog sniffing and growling at various ruined buildings as they passed. Nonetheless they headed straight to the walled manor house on the hill. The rusted iron gates in the wall stood half open, and Barur ventured inside to find a garden wildly overgrown with thorny plants, two broken statues of noble warriors, and a path leading up to the front door of the manor. He noted that the windows of the manor were all boarded shut. They gathered at the doorstep, and pulled the creaking doors open, revealing an empty hallway with a door and a stairway on each side, and a set of magnificently carved double doors at the far end. Lex stepped boldly forward, walking down the hall and opening the double doors, which led into what used to be the manor's great dining hall. The room was now filled with smoke, coming from the smouldering embers which lay beneath a steaming iron cauldron. A variety of wooden tables, chairs and junk also filled the room, but it was apparently uninhabited. Ever wary, Lex looked upwards to the ceiling, and noticed that a balcony ran along one edge of the room, allowing viewers on the next floor to look down into the hall. Afraid of what such viewers might do to them now, he sent two of the guards up the stairway to investigate. Also while scanning the ceiling, the witch-hunter caught a glimpse of a large black shape moving in one corner. Taking no chances, he let a crossbow bolt fly at it, heard the bolt thud into what sounded like flesh, and a muted scream of pain. The shape began to move. The two guards crept up the stairway, and ran back down, gibbering that they'd seen "five monsters, dark gods, blood everywhere!". The battle began. At this point, as the party was mostly gathered at the doors of the banquet hall, Darian, who was lurking at the rear, noticed that one of the smaller doors in the entrance hall, behind them, was beginning to shake, as if someone was trying to open it. Barur and his henchmen leapt up the stairs to confront the reported horrors, and Darian put his back against the shaking door in an attempt to block it. Unfortunately his strength was not sufficient, and he was sent flying to the floor, cracking his head on the flagstones, as a group of four bugbears wielding spears rushed to attack the party's rear. Those on the upper level were confronted by the leader of the bugbears, a massive hulking beast of 8 feet tall, brandishing an axe and a huge shield, and wearing a dented breastplate. He was accompanied by two priests wielding bone rods, and two warriors with spears. The chamber appeared to be used as some kind of temple, as a magic circle was scribed on the floor, and an altar made of bones and congealed blood occupied one wall. The guards' report was correct - the whole room was splashed with blood of varying ages. The battle was sorely fought, with the party surrounded and split onto two levels. The bugbear priests wielded powerful magic against them, summoning a blinding darkness, and shooting forth volleys of bone shards. Darian was stabbed and left for dead by the bugbears which had come from the door he'd attempted to block, but he bettered them, crawling up behind them and skewering one of them from behind. Barur fought the bugbear leader, an evenly matched battle between two veteran warriors, but after the magical darkness had passed, the Dwarf ended victorious. The defeat of their leader demoralised the bugbear hordes, and some of them fled. The priests fought to the death, and were killed by Barur's henchmen, Angur and Barath - Barath using the unusual but successful tactic of throwing chunks of wood and bones from the altar at his opponents to disorient them. Several bugbears died with Lex's bolts in their skulls. When the last of the monsters were slain, the party assessed its losses. Two of the three village guards were dead, but the third, Olm, survived and had proven to be a stalwart warrior, single-handedly fending off attacks from three bugbears. Lex was badly wounded, but still able. Darian lay unconscious and bleeding in the entrance hall on the ground floor, but was still barely alive. With the rout of their enemies, the party was torn between looting the manor house in victory and making a hasty retreat to the safety of Keet. They chose the latter course of action, fearing that a further confrontation in the manor would not go in their favour. But they planned to return later in the day, after leaving the badly wounded in safety, hoping that the fleeing bugbears had run far enough away that they wouldn't have regrouped by the time the party returned. The next session will tell if their hopes will be fulfilled! 1. Having a distinct lack of t-shirts in a passable condition at the moment. 2. My love of old-school RPGs, and a certain amount of "geek pride". 3. Having noticed a shop near where I work which offers printing of images onto organic cotton t-shirts. 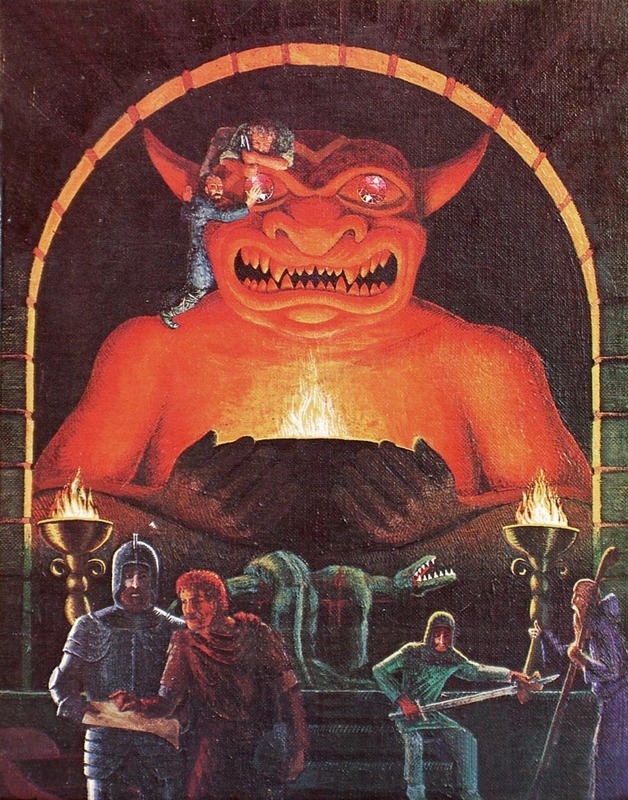 Next on the list is either simply a Dungeons & Dragons logo (I'm thinking the one off the Mentzer box - which is the most iconic to me), or perhaps the Moldvay Basic D&D cover. I did try making a vector image of the former already (which would be required to make a vinyl transfer of it), but I had some trouble getting a good result without arduously tracing the whole thing by hand. I might end up doing that, when I find the time, but I'd also be very interested to hear if anyone has already done this, or knows where one can get a vector D&D logo online? So, in my campaign, the spirits of the dead travel through the Underworld (literally underground) and have to run the gauntlet of spiritual worth as various unsavoury beings vie to steal their souls. Up until now I've not put that much thought into the dark forces of the world, other than creating a list of the names of some of the major gods of Chaos - who'd be exactly the folks who would be ruling these subterranean domains. Each of them of course now needs a suitably nasty ruler and his or her servitors. For example, I imagine the boiling hell being a swamp-world filled with bubbling pools and noxious vapours, ruled by a frog god and his amphibious devil servants. The ninth hell I envisage as the kind of central hub (also perhaps the lowest), from where the as-yet unnamed lord of hell rules each of the other eight. A short but fun session, with a very interesting (and completely unexpected by all concerned) twist at the end. This session left off directly where the last one finished - with Aergyl incarcerated in the village of Keet after being put to the rune trial for dealing with the gods of Chaos, found guilty, and sentenced to death by burning the following day. After the murder of one of the prison guards by Aergyl during the night, it was decided that he needed to be more securely imprisoned. A group of guards, accompanied by the Seid (the village temple warden), came to Aergyl's cell, bound his hands behind his back, gagged him, put a sack over his head, and blocked up the small window in the door of his cell. Unable to resist, the necromancer languished in the darkness, trying to think of a means of escape or revenge. At dawn the prison guards gathered, preparing to take Aergyl to meet his fate in the town of Aglong. Barur also awoke at dawn, and, hoping to at least be able to speak with his former companion (the necromancer), he roused Barath, Angur and Darian, with whom he was sharing a room at the inn. The Dwarf's companions were rather disgruntled at being woken up so early, and none of them was keen to interfere further in the course of justice. So Barur went alone to the guard's barracks, where he met the party as they were bringing Aergyl out from his cell. Blenworth, the guard captain, explained to Barur what had happened, how Aergyl had murdered one of the men in the night with dark magic, and how there could be no doubt now that the judgement of the high gods was correct - the wizard should be condemned to death. Barur asked to be able to speak to Aergyl, but Blenworth refused, saying that they didn't want to risk him speaking any more dangerous words of power in the village. Thus Aergyl was dragged down to the road, and began his journey to Aglong. Barur stayed and spoke with the guards' captain for a time, and reached a reconciliation. The captain said that the adventurers were still welcome in the village, and that their explorations of the wilderness to the south, and killing of Goblins was greatly appreciated. However, he was urged to take more care in choosing his companions in future, especially those who dabble in the arts of wizardry. The Dwarf then returned to the inn to mull over the events of the last day, and to decide his next course of action. Aergyl, in the meantime, was being dragged along the road to Aglong. Being physically overpowered, and unable to use magic due to his bindings, the certainty of his fate sunk in. His mind reached out in desperation to the dark gods of Chaos. He was wearing a silver necklace in the form of a spider, which he had taken from a spider cultist whom they had encountered and killed in the forest several weeks ago. The necklace was known to have magical powers, and had been used several times to charm and control giant spiders, so Aergyl surmised that it had some connection to the spider god Ligg. Attempting to use the power of the necklace once more, he called out mentally to the spider god, asking to be saved. His plea was heard, and his mind slipped gradually into a vision - where he was standing in a dark subterranean space, surrounded by spiders of all shapes and sizes, crawling everywhere and eventually submerging him in their number. The voice of Ligg emerged out of the noise of thousands of spiders crawling, a sinister whisper answering the necromancer's plea for aid - "And what would you do for me in return?". Aergyl replied that he would serve Ligg in return for his help now. The deity replied simply "Renounce your god". Aergyl detected a malicious humour in this remark, knowing that his god, Mot, the god of death, would very likely not look kindly on one who willingly leaves his service. Nonetheless, he took the risk, and in the presence of the spider god he renounced Mot and swore to serve only Ligg. The god accepted his service. The spider necklace began to get hot, burning Aergyl's flesh and burrowing into his chest. Through his gag, he screamed out in pain, but his mind was now elsewhere, being fully immersed in the consciousness of the spiders surrounding him. As the necklace bored to the centre of his chest, the wizard's body was transformed into a thousand tiny spiders, which scuttled away from the horrified guards, leaving his robes and bindings to drop to the ground. And so ended the career of Aergyl as a PC. However, this episode has layed the seed of him potentially returning as an enemy at some point, a deranged devotee of Ligg. It was a really interesting session, and great fun to delve a bit further into the relationship of mortals to the gods. I have very much in mind that I want the gods to have real power in the world, and that characters speaking their names, and invoking their aid have the potential to bring forth that power. I've not come up with any formal rules for this as yet (though I might do), but have just been asking players to make Spirit rolls when they invoke the power of a deity. And Aergyl's player made some very successful Spirit rolls in his dealing with the spider god! I've seen a few people discussing this topic, on various blogs and forums: the idea of weapon damage in D&D being determined not by the weapon itself, but by the class of the character wielding it. The most commonly propsed system is that characters do damage based on their hit die (d4 for magic users, d6 for thieves, d8 for clerics and d10 for fighters - using the AD&D class hit dice). It's an idea that I find very appealing. 1. It's simple, super simple. 2. It (potentially) does away with that old D&D stickler - "why can't my wizard / cleric use a sword?". So with damage by class a wizard can use a sword - he just won't do much damage with it. This makes sense to me. Of course, anyone can pick up and use (almost) any weapon, but without proper training (like, say, being a fighter) they're not going to be able to use it at full effectiveness. At the low end of the damage spectrum it seems to make sense. However I've wondered if it makes sense at the other end (fighters). Is a trained warrior really as effective in combat with a dagger as with a longsword? I don't claim any knowledge of such things, but I presume not, otherwise the longsword would probably never have been invented. So, what I've been thinking is that a mixture of the two systems would probably work - damage by class and by weapon. This sounds like it's going to be complicated and involve tables, but it doesn't! All you need to do is say that any character can use any weapon, and all weapons do the damage listed as normal - BUT up to a maximum of the character's hit die. So a wizard wielding a dagger, a club, a sword - any weapon at all - will do d4 damage. But a fighter wielding a dagger will be a far less formidable opponent than a fighter wielding a 2-handed sword. The only trouble I can see with this (or other damage by class systems) is that it takes away one of the fighter's big advantages - having no weapon restrictions. Of course the fighter has also just gained a new big advantage - being the only class capable of dealing maximum damage with big weapons. I'm not sure if this balances out though. I'd say probably clerics would be the big winners here, going from being able to use a very limited selection of weapons, almost all of which do d6 damage, to being able to use any weapon, many of which deal up to d8 damage. In that respect I'd consider reducing clerics' maximum damage to d6, that seems more balanced. I'm interested to hear anyone's thoughts on this matter!